On this month's episode, five of the six founding members of The Sacra Doctrina Project meet to discuss the doctrine of universalism. What is it? Does it have a basis in the Catholic theological tradition? Recent versions of universalism are contrasted with the seminal work Dare We Hope? by Hans Urs von Balthasar. Finally, the hosts debate whether this is really the best of all possible worlds. Compendia, 01: How Can God Move the Will Infallibly and Yet Contingently? Join us for our first episode of Compendia, a new series of mini-episodes of the Sed Contra podcast. In this episode, Dr. Taylor Patrick O'Neill will consider how St. Thomas Aquinas can maintain that God infallibly moves the human will (such as in the case of actual grace) but without imposing any necessity on the human will (and thus without falling into the errors of Calvinism or Jansenism). 001: What is Sacra Doctrina? 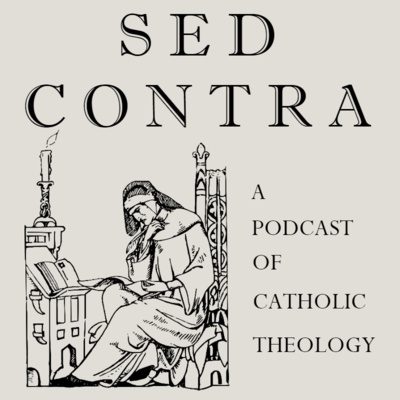 The inaugural episode of Sed Contra: A Podcast of Catholic Theology. In this episode, we explore the notion of "sacra doctrina." Is it the same thing as theology? Is it merely practical or pastoral? All of that and more.